Hello all! I am back to share my last project as a Crafty Catz Guest DT member. For the last challenge of July we are celebrating Christmas! This challenge is sponsored by Bugaboo Stamps. 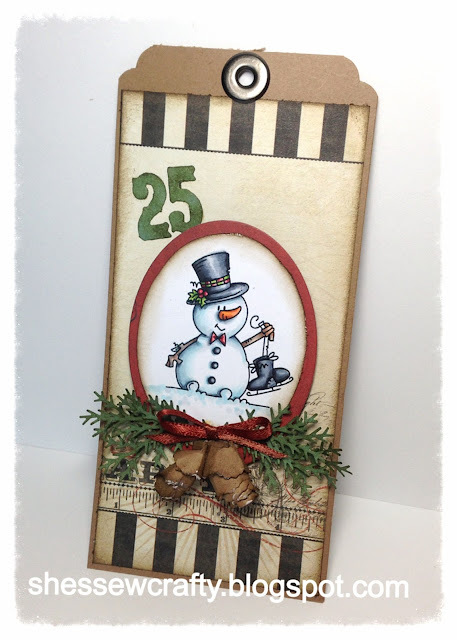 I have used a sweet snowman image from Bugaboo Stamps and made a tag. I tried my hand at making some pine cones and used my brand new MS branch punch to create some Christmas greenery. If anyone would like to know the colors I used just let me know and when I get back I will do my best to add it all!